Building robots and Robotics Kits is one of the most exciting hobbies around, because it gives Makers like yourself the amazing opportunity to breathe synthetic life into a pile of nuts, bolts, motors, controllers, and other bits and bobs. However, one of the most exciting aspects about building robots is that you don’t always have to follow the rules or guides, and you can go on your own adventure into building something completely new – or perhaps upgrading or redesigning something that doesn’t yet meet your criteria. 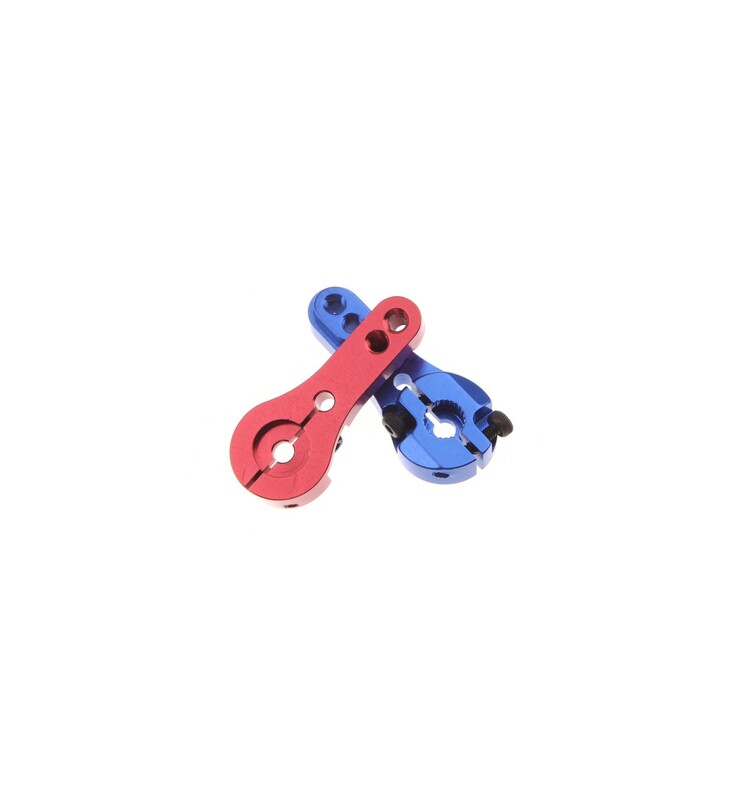 This is why we offer cool Servo Accessories like these Anodised Metal Servo Arms with Dual Clamp fastening systems and 25 teeth to cater to a wide range of different Hobbyist Servo Motors. 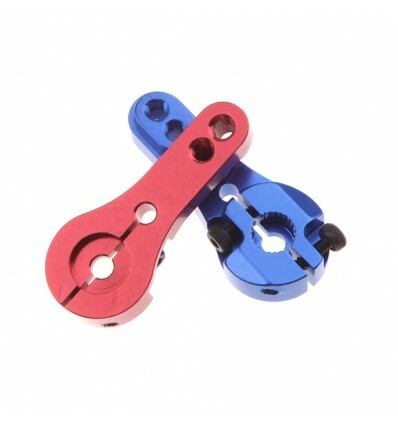 So, whether you want to equip your robot with extra limbs, add sensors and other modules to a robotic arm on your desk, or are planning your own unique project yet to be revealed to the world, these metal servo arms offer an excellent blend of functionality, affordability, and a touch of style. These arms can be attached directly onto servo motors, featuring two M3 mounting holes on the other end that you can then install various components onto. This allows you to equip your robot with a laser pointer, robotic gripper, various sensors, or even a custom “high-five-hand” to hook you up with a high-five when you need it most.